Puesto's ceviche entry took home this year's top award. SAN DIEGO – El Gringo and his señora dropped in at the 57 Degrees Wine Bar in San Diego Sunday for the 1st Annual Ceviche Showdown. The stakes were high at this event; ten of San Diego’s most celebrated chefs and restaurants were on hand to compete for nothing less than the title of “San Diego’s BEST Ceviche”. A panel of four celebrity judges sampled a bit of each pescado plate to determine which would become San Diego’s “Top Fish”. Additionally, the crowd were asked to choose their favorites for the “People’s Choice” award. At the end of the day, Chef Luisteen and his staff at Puesto at the Headquarters in the Gaslamp District took home the title of Best Ceviche. George’s at the Cove in La Jolla won over the masses, winning the People’s Choice award. We had our favorites, but our picks jibed with the judges’ and attendees’ picks, overall. The ceviches ranged from traditional Baja, Yucatanean and Peruvian preparations to fusions of Mexican, Asian and Mediterranean styles, and we tried them all. Presented here, in the order they were numbered at the event, is a rundown of all 10 entrants, as well as El Gringo and Baja Luxury designer Ursula Koenig’s observations and ratings. What’s your favorite ceviche in San Diego? Let us know! El Gringo would like to say GRACIAS to LMA Wines for keeping our glasses full with some great blends from the Valle de Guadalupe during the event, including a Chenin Blanc varietal from Vinos Palmar and a blend of Columbard and Chenin Blanc from Torres Alegre y Familia. Both paired perfectly with the ceviches. Hi! Loved this..it looks fabulous. 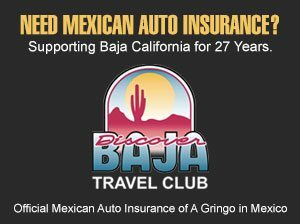 I follow your blog as I love all things Baja and am an all around Mexcio fan. You have lots of intersting tips and info. Just wish that upcoming events could be posted on your site beforehand?! Really would like to experience them myself. 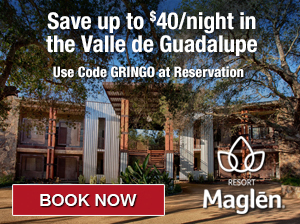 Thanks for your comment and for following El Gringo! I do occasionally post on upcoming events, like the Latin Food Feat next month. I wish I could promote more, but it’s just me and I also have a “real job”. I’ll definitely try to do more advance notices as the blog grows! Allegro was the only true ceviche. The other entries were good seafood appetizers but the extra items were too much. Hi David…thanks for your comment! I also felt that Viva Bar and Kitchen and Old Town Cafe showcased “true” ceviches…simple ingredients, lime juice no coconut milk or aioli. All of the entries were good, several of them great. You know dover sole is not “local”? Hi J, and thanks for your comment. In this case, I’m sure the chef used Pacific Dover Sole, which can be found all along the coast for Baja to the Bering Strait.